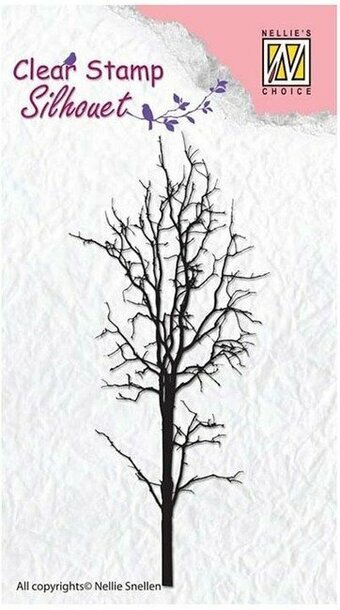 Prima Marketing-Finnabair Clear Stamp: Tree. Create unique images quickly for your paper crafts! Apply to any acrylic block and stamp. 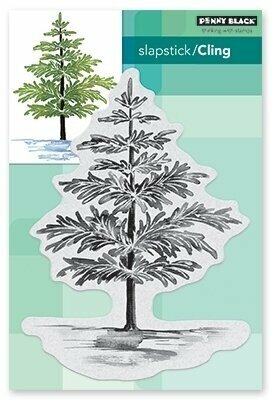 This package contains one clear stamp on one 3x2-1/2 inch backing sheet. Imported. 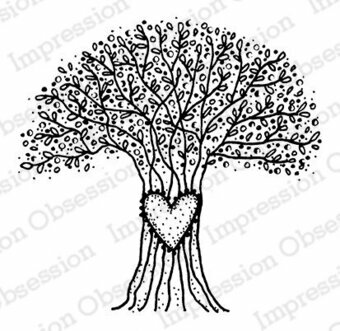 Cling Stamp from Impression Obsession featuring a landscape with a tree. 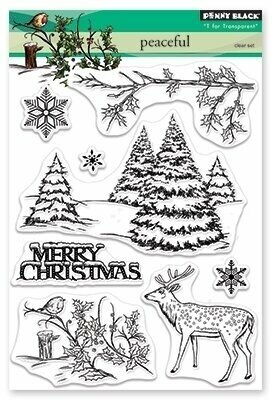 This Christmas themed Penny Black wood mounted rubber stamp features a deer and a Christmas Tree. Christmas themed cling stamp from Stamping Bella featuring a Penguin On A Reindeer On Polar Bear - putting a star on a Christmas Tree. 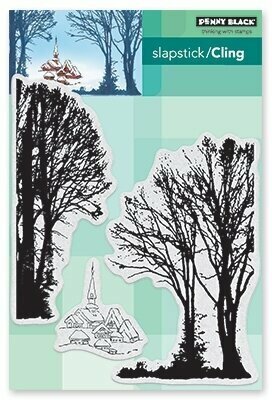 Penny Black slapstick cling stamp featuring a grove of trees. 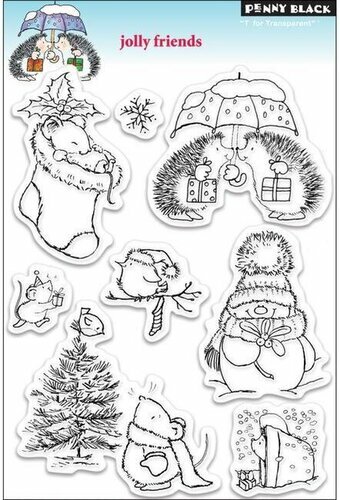 Christmas themed clear stamps featuring a Christmas Tree, a snowman, and more. A fun-filled pack with clear stamps and icons that can be mixed and matched or used separately. Use a waterproof ink and colour (or leave them as they are) according to your taste. Clean with water and dish soap or use a wet wipe. 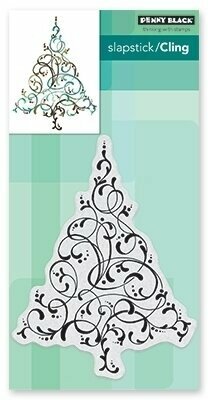 Stamp a Christmas tree in either silhouette or a more detailed design with this set of two rubber stamps. Size: 1.5x2.25 inches. 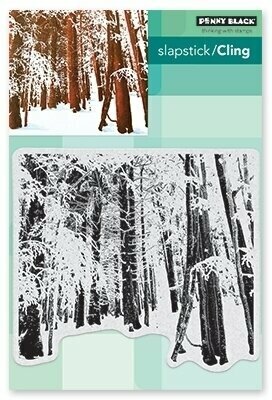 Two trees intertwine to interlock your card closed with this new addition to our Twist Ties line! 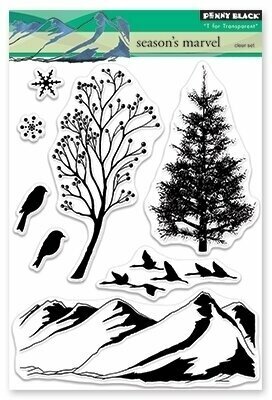 Includes clear stamps and dies for trees, leafs, two birds, a birdhouse, and "Rooted in Love"
This Christmas themed Penny Black wood mounted rubber stamp features a Christmas Tree with the words "Deck the halls with boughs of holly", "Tis the season to be jolly", "Oh holy night, the stars are brightly shining", and "Merry Christmas to you". Cling stamp from Carabelle Studio featuring a Girl Under A Tree. 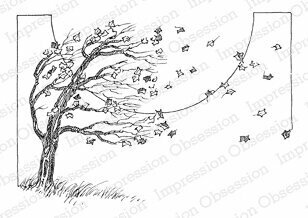 Penny Black slapstick cling stamp featuring a tree with leaves. 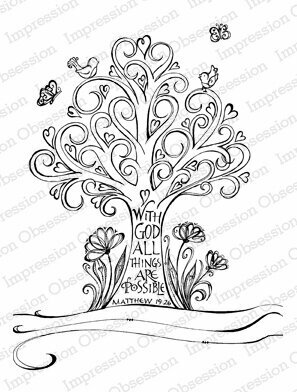 Cling stamp from Carabelle Studio featuring a garden scene with birds, a birdhouse, and a tree. 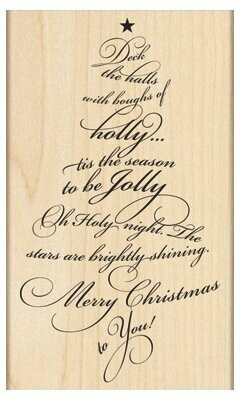 This is a bundle of Night Before Christmas stamp set and coordinating die set. "'Twas the night before Christmas and all through the yard, a crafter was working on last minute cards." Does that seem familiar? 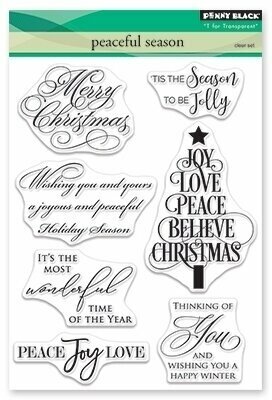 This stamp set makes it easy to produce your holiday cards, whether you are making one or one hundred. You may even be able to finish your cards early this year! That is because we cleverly designed this set to stamp your image and sentiment in one step. 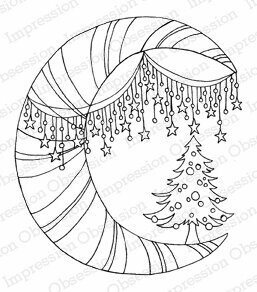 We have included two different trees with popular Christmas verses, along with a few other sentiments you can stamp on the inside of your card. 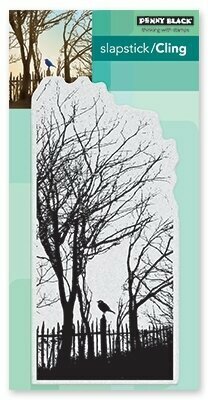 Cling Stamp from Impression Obsession featuring an owl in a tree. 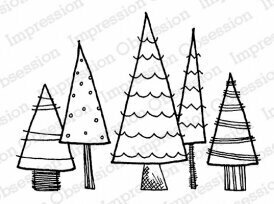 Impression Obsession cling stamp featuring 5 Christmas trees. 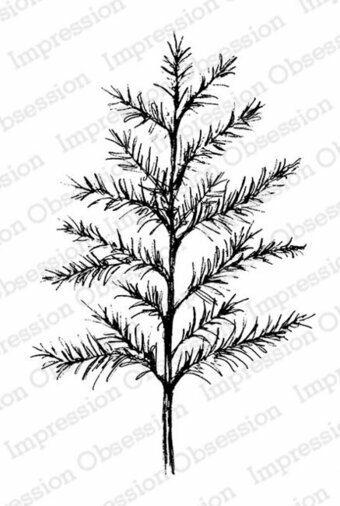 These serene pine trees are perfect for Christmas or nature themes. Size: 2.5" x 1.5"